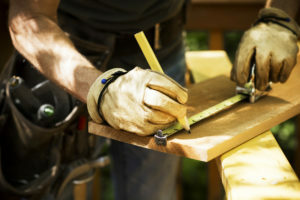 As a contractor, you know that you need construction insurance. But once terminology gets thrown around, it can get confusing as to which insurance you actually need. In fact, it’s common in the construction industry to be wondering what’s the difference between contractors all risk policy and liability insurance? Do I need them both? If I have one am I covered? Let’s begin with some basic explanations. Your starting place as a contractor is general liability insurance. This is an absolute must-have for your business. It protects you and your business in case of a lawsuit, or certain types of injury. This includes: physical damages to a third-party (aka “slip and fall” insurance), physical damage to a third-party’s property, and personal injury in cases of libel or slander. What an all risk insurance policy covers, basically, is anything you haven’t explicitly detailed in your contract. Or perhaps more accurately, it’s an added form of coverage against the unforeseen. As we outlined above, general liability insurance covers property damage, physical injury, and personal injury. These are all damages and injuries inflicted on a third-party. And they’re all connected with the actual work being done. So what is an all risk policy? Contractors all risk insurance policies vary, but generally, what they’re designed to do is cover against damages caused by external circumstances. So, for example, while your general liability insurance would cover damage caused by a worker who dropped his hammer and cracked the hardwood floor, your all risk policy would cover damage to the floor from a trespasser. Additionally, unlike general liability insurance, all risk insurance can cover the structure itself, your building materials, and all equipment. Another interesting difference is that you can take out a construction all risk policy on a per project basis. This is opposed to liability insurance, which is generally based on monthly or annual premiums. It does not cover against accidents or injuries at your place of work. Also, once the construction job is complete, the insurance coverage ends. So while general liability can cover you for property damages long after the job’s done, an all risk policy is more limited ending either when the job’s complete, the property is sold, or the owner takes up occupancy. While having an all risk policy is certainly in your interest, it’s interesting to note that builders all risk insurance can actually be purchased by the builder, the developer, or even the property owner. More extensive coverage – You’re more fully covered against unforeseen accidents and mishaps. Increased business potential – Potential jobs will be attracted by this comprehensive level of coverage. Enhanced peace of mind – A construction business all risk insurance policy, by its nature, will cover many of the things you just didn’t think of on your own, and those things for which you can’t possibly plan. In other words, while you certainly must have solid, reliable general liability insurance to cover your business, it’s also a good idea to purchase comprehensive all risk insurance policy for each job. The policy cost is a small price to pay for plenty of added value, and better coverage when you’re on the job. Self Employment and Social Security: How Does It Work?